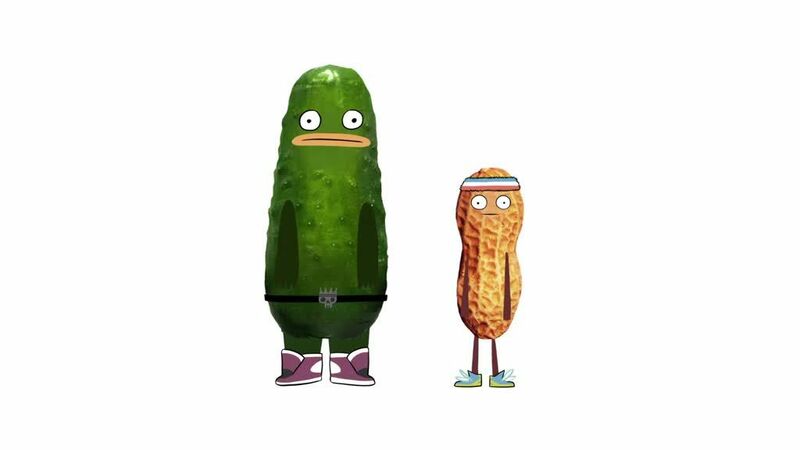 You are going to Watch Pickle & Peanut Episode 1 online free episodes with HQ / high quality. Stream cartoons Pickle & Peanut Episode 1 Online Greg;Pickle becomes the mother of a pimple named “Greg” (voiced by Joel Trussell), which he gives to his frenemy, Lazer, to get invited to his party. Lazer had no intention of giving back Greg, so Pickle and Peanut must reclaim Greg. Gramma Jail; Pickle and Peanut accidentally land Mam Mams, an old lady, in an old lady jail after violating an express lane rule in Mjärt Mart saying only ten items or less can be checked out at once, because Mam Mams checked out an eleventh item, so Pickle and Peanut must go to the jail and rescue her. 3.3 / 5 - 39 ratings.